What happens in the kitchen, stays in the kitchen. While we love sharing and experimenting with new recipes, food expenses can add up quickly if you’re not careful. When you’re trying to feed your family a healthy diet with quality food, it can be a challenge to keep costs low. It’s not impossible. 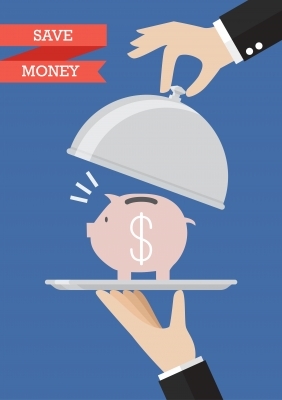 Here are five ways to help you save money. Coupon with a twist. Couponing is great but requires a lot of time to search and cut coupons. Do you wish there was an easier way? There is with Groupon Coupons, which offers coupons from thousands of retailers across hundreds of categories. New coupons are added daily, so it’s a good idea to visit frequently. Reduce your expenses with bulk food purchases; grab discounts on kitchen and food prep tools and gadgets; and save money from different categories such as home décor or personal health. Shop local markets. You might be surprised to know you can save money at local produce markets, where farmers offer fresh food at comparable or reduced prices to usual grocers. You can even find varieties of produce; some of which aren’t offered at your traditional store. Local markets often offer higher quality and better tasting food, which means you won’t waste money buying vegetables or fruits that don’t taste good or that your picky eaters refuse to eat. Plan ahead. Have you heard the advice of not shopping on an empty stomach? That’s good advice but even more important is to plan your meals in advance. Write down foods for an entire week of dishes for you and your family. Find recipes for foods you already have in your pantry. Check your store’s weekly sales, and plan recipes around one main meat. For example, cook a huge package of ground turkey, and use it in a different, nightly meal. Make turkey meatball spaghetti, turkey and veggie casserole, turkey tacos, or turkey and bell peppers pizza. Freeze whole or individual portions. When you find a big sale on meats, buy multiple packages and freeze some for later meals. You can also cook all your week’s dishes at one time, or even plan for the entire month. Take a weekend to prepare, cook, and freeze individual serving sizes. You can also freeze fruits, and use them in smoothies, muffins, or pies. Freeze veggies for smoothies, casseroles, or soup bases. To make it easier, buy a home vacuum sealer or freeze-proof containers. Prepare meatless dishes. Meats are probably the biggest food expense, save for some exotic ingredients that could pop your budget. Prepare meatless meals once or twice per week. Think of some of your favorite dishes with rice or pasta, omit the meat, and add plenty of fresh veggies. One of my recent recipes would be perfect for this: the anchovy fritters and seaweed salad served with brown rice. It’s healthy, full of flavor, and easy to make without a huge cost. This entry was posted in Budget tips, Food Thrift Tip and tagged budget tips, save money on food bill on November 23, 2016 by Yami.